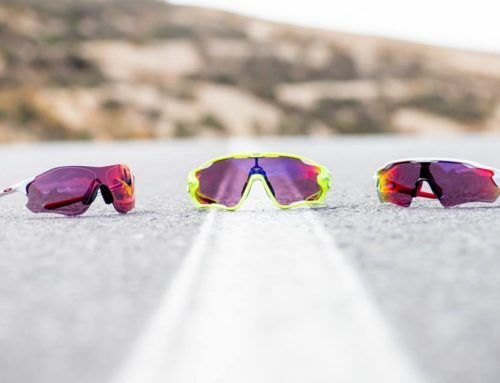 Oakley Radar sunglasses have been knocking around the sports world for a decade now, and their popularity shows no signs of diminishing. Unlike other generational products that get phased out once a new version comes along, you can still purchase all three versions of the Radars. If you’re trying to decide which frame is best for you, this comparison will hopefully guide you in the right direction. Just so we’re all clear right from the start, “Radar” (or Radarlock or Radar EV) is the name of the frame. Path, Pitch, Range, etc. are the names of the lens styles. These lenses are all interchangeable within their respective frame (e.g., Radarlock Pitch lenses and Radarlock Path lenses both fit the Radarlock frames). Oakley first introduced the Radars in 2006. 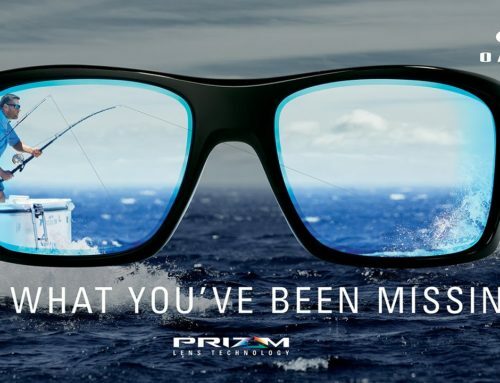 In keeping with heritage style characteristics of the M Frames, the Radars feature hammer stem profiles, a brow that dips slightly in the center, and a single shield lens. Oakley marketed the Edge within the women’s line, but there’s nothing markedly feminine about the shape. I’m not going to pitch any “Pink it and Shrink it” theories here, but needless to say, the Edge is just as unisex as the other options. Ultimately, it comes down to which shape you like best. More or less the exact same frame as the Radar, the Radar XL features added length between the nose bridge and brow. 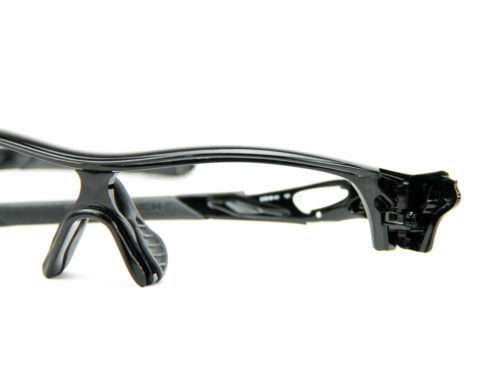 This extra 7 mm provides more vertical coverage, which is especially helpful for cyclists riding in the attack position. Unlike the standard Radar however, the XL version only has one lens — the Blade. If you have the parts, you can change the nose piece to convert a standard Radar to a Radar XL (and vice versa), but there is always the risk of damaging the frames. In 2012, Oakley released the Radarlock. 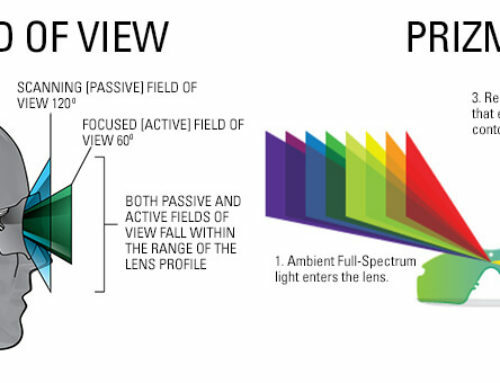 This generation has the same look and feel as the first — similar size and the same lens shapes, but there are enough distinct differences to set it apart. The main difference being Oakley’s patented “Switchlock” technology. Instead of a press and pop method, the left temple features a locking mechanism. When unlatched, the temple swings open, allowing for an easier lens removal/installation process. Because in the 3rd iteration of the Radar family, Oakley returned to the “outdated design” of a pressure click-in system for Radar EV. Not saying there’s anything wrong with the Switchlock technology (I quite prefer it), just noting the irony. Oakley might want to consider updating the copy on their site — and also possibly not bagging on their own designs in the future. In addition to the new technology, the temple featured a more angular surge port and a slightly larger icon. This design change also pushed the hinge a little further down the temple — a seemingly insignificant adjustment, but one which causes the ends of the temples to hit the back of the lenses when the frame is folded. There’s also less Unobtainium on the earsocks — about two inches of length along the back of the ear stem compared to Radar’s three inches of Unobtainium. This could be seen as either a pro or a con depending on your needs. Pro:Unobtainium becomes sticky when wet, so the more there is, the better the sunglasses may lock to your head and not shift around while moving. Con:That added stickiness can also make it more difficult to put the sunglasses on one-handed. Some other added features include perforations on the ends of the stems to accommodate a retention strap and spring hinges. The tips of the stems also don’t flare out much. The Radarlock XLs are the exact same frame as the Radarlocks, but with an added 7 mm between the nose bridge and top of the frame (same concept as the Radars vs the Radar XL frames). A modern twist on the previous generations, the Radar EV is still easily identifiable as part of the Radar family but departs from the curving sweep of the brow to a more angular look. Instead of dipping above the nose bridge, the brow of the Radar EV is straight across the middle before angling downward into 2 sloping steps about two-thirds of the way to the temples. 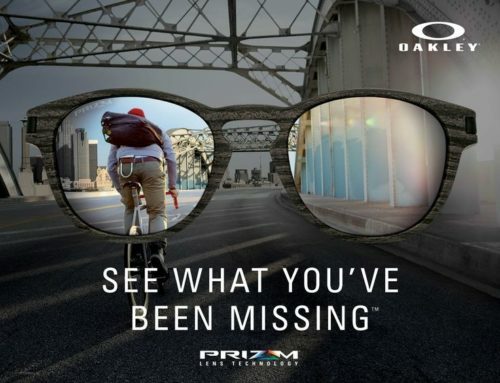 Returning to what worked in the original Radar frame, Oakley ditched its Switchlock technology for the 3rd generation of the Radars, favoring instead the pressure click-in system. The hinges are pulled closer in so that the tips don’t hit the lens when folded. And the surge ports are much smaller — more rectangular and positioned closer to the hinge. The Unobtanium earsocks cover almost the entire length of the stems, with only the flared ends and the areas around the surge ports left untouched. But what most sets the Radar EV apart from its predecessors in terms of function has to be its lens design. The “EV” stands for “extended vision” and for obvious reasons. The lenses feature an added 5 mm above the nose bridge, extending the upper field of view. As with the XL versions of previous generations, this taller lens keeps the brow out of sight (or nearly so) when in a head down, eyes up position (such as the aero position while cycling). Although still available in the Path and Pitch styles, the Radar EV only comes with vented versions of these lenses. Unlike previous versions of vents, which were cone-shaped and positioned at a diagonal from the outer top corners of the lenses pointed inward towards the nose bridge, the vents on the lenses for Radar EV are subtly placed horizontally against the brow. These low profile vents were designed to still allow optimum airflow while staying out of the path of the wearer’s line of sight. Are these lenses interchangeable across generations? The lenses for Radar EV are a definite no across the board – those lenses won’t fit in Radars or Radarlocks (or their XL counterparts), and the lenses for Radar and Radarlock won’t fit in the Radar EVs. If you compare the notches on the lenses of the Radars and the Radarlocks, you’ll notice a difference. Want to buy some OAKLEY RADARS?